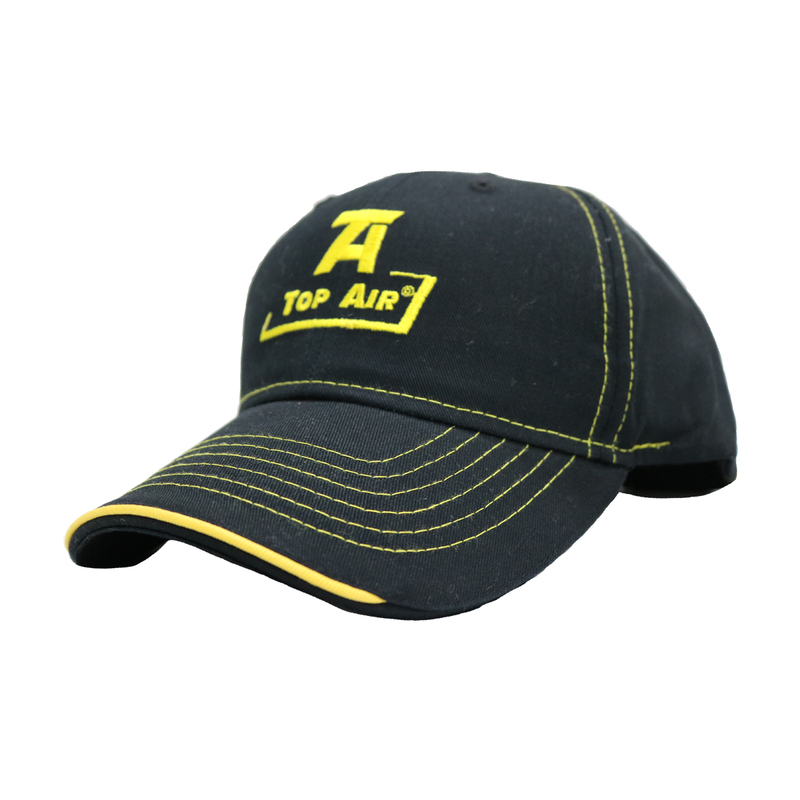 Top Air Contrasting Hat - HATS - Unverferth Mfg. 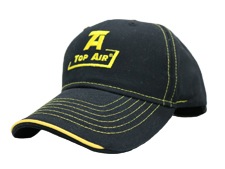 Hat - Black featuring the Top Air logo in yellow with contrasting yellow stitching, and yellow piping on bill. Adjustable Velcro® closure for a secure fit.